I have gotten my first job in the academics – which may, in time, allow me to invest time into researching human behavior – which will hopefully make me develop my writing skills even more. Life is smiling – and it is really time to roll up my sleeves and dive into the ocean of awesome possibilities towards my goals and dreams! There is so much happening in my life right now. I see progress on so many areas. Even my blog and twitter account are growing more than ever before. I just reached 1000 followers on Twitter! Yay!!! Thank you, friends!!! Where is my writing hiding in the midst of it all? It’s still here. It’s what I love to do. Specifically, I’m working on an e-book with tips and ideas right now. Wait and see, it will (hopefully) be great! 😉 I’m also gathering as much information as I can right now, buying new books, visiting museums etc., on the Viking Age. I feel so ripe and ready to write the series The Northern Way! I have the outline for ten books – and I absolutely adore my plots, storylines and main characters. (Giggling secretly.) All I need to do now, is to put the Viking stories down on paper. But before that I need to know even more on details about their everyday lives (how they dressed, what they ate, etc), how their world view was, how their religion worked, gender roles (women were important! ), the roles of small kings etc. That’s the phase I’m in now and I love it!!! What happened to A Heart of Fire? I’ve paused it. I’ve been thinking quite a lot about my stories and reached the conclusion that I don’t want to publish A Heart of Fire before a great editor has had a look at it. 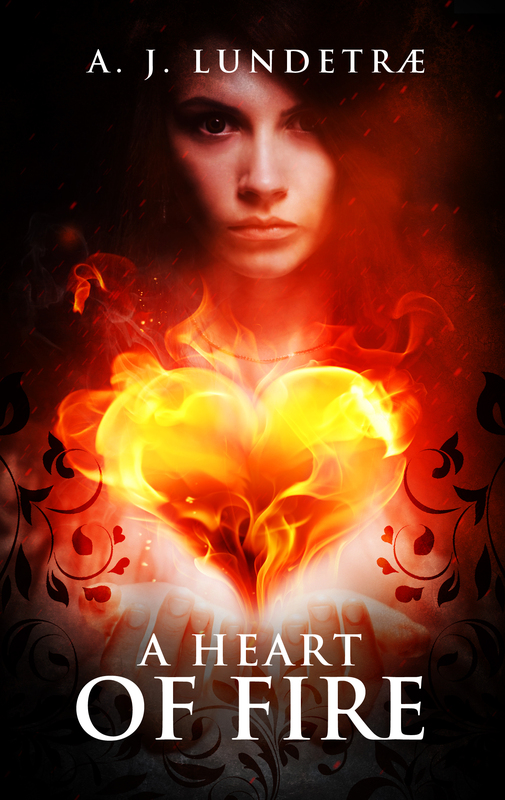 Sadly, I feel that right now A Heart of Fire could be great – but it is only mediocre. I don’t want to be mediocre. Although it is true that one has to stop editing in time and just be done with it, I just can’t seem to reach the point with AHOF where it is done and I’m happy with it. It has too many flaws. Previously I have completed other books (like Selma) and felt done – I know the feeling. Which is why I definitely know that AHOF isn’t done. The plot lines of The Northern Way are simply far better developed than those of AHOF, since I wrote the plot lines of The Northern Way when I had learned far more about writing and structuring novels. The Northern Way is ready to be written – and I’m going for it! Where are you on your writing? Want to write a book, but not sure where to start? Learn more here about getting started. Enjoy the last days of this wonderful month!